I started downhill skiing when I was five. I started cross country skiing when I was a pre-teen but since cross country is an aerobic activity this pursuit did not last long initially. I started teaching skiing when I was 14. I started Telemark skiing when I was in college and I started snowboarding when I was in my late 30s. I started skate skiing in my mid 40s and thankfully this helped me re-discover the aerobic activity that is cross country. I finally took my first helicopter ski strip when I was 50. Worth. Every. Penny. Back in college I was a huge ski bum. 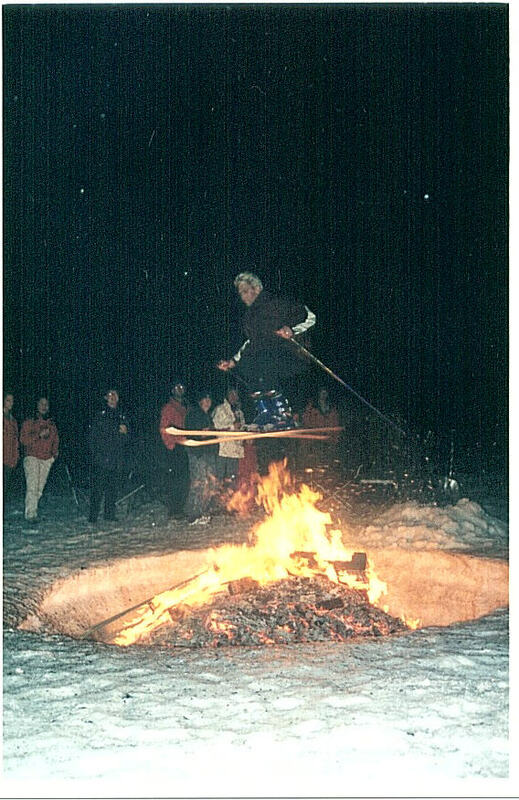 In my first year of school I attended classes for five consecutive quarters to 'stock up' on credits (it didn't help) so that I could take the next winter quarter off and teach skiing full time. Lather, rinse, repeat. Except for the going to school in the summer part. 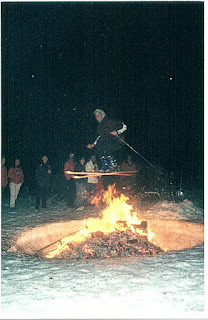 Soon I was teaching on the weekends, on the ski patrol mid week and skiing six days every week. Even when I started racing bicycles I would ski full time and bring a trainer up to the ski lodge where I lived in the winter and wake up really early to get in a quick workout. I would even hike up the ski hill on my day off just to get in one run to try and set new records for the most consecutive days skied each year. Mostly I taught for the Powderpigs ski school; one of the best ski schools for kids ever. When I was young I took lessons there and progressed from student to assistant instructor to instructor to clinic instructor to Assistant Technical Director. I know, pretty heady title, eh? Fully half of their instructor training focused on 'kid tech' (child psychology, developmental psychology, learning styles, teaching styles, etc.). Nice. Here is the first thing I taught all my students. As I started cycling more and more skiing took a back seat and my time time in the snow tapered drastically from six days/week to just weekends to just a couple of weekends each year to absolutely nothing for a few years. In 2011 Shelley and I started snowshoeing. What a blast! In the winter of 2013-2014 I got recruited onto a friend's City League ski team and rediscovered downhill skiing through racing. That was a blast and it's good to be back.